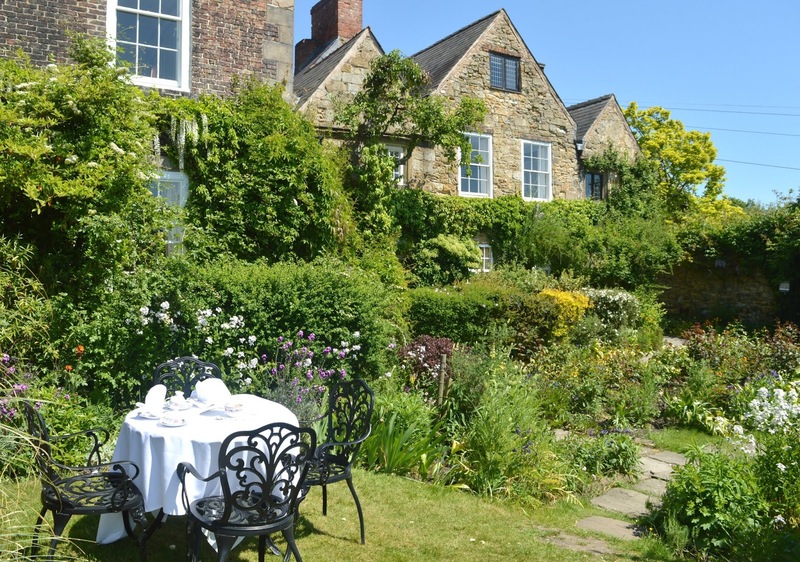 Crook Hall and Gardens is so serene and beautiful it's hard to believe it's in Durham city centre! 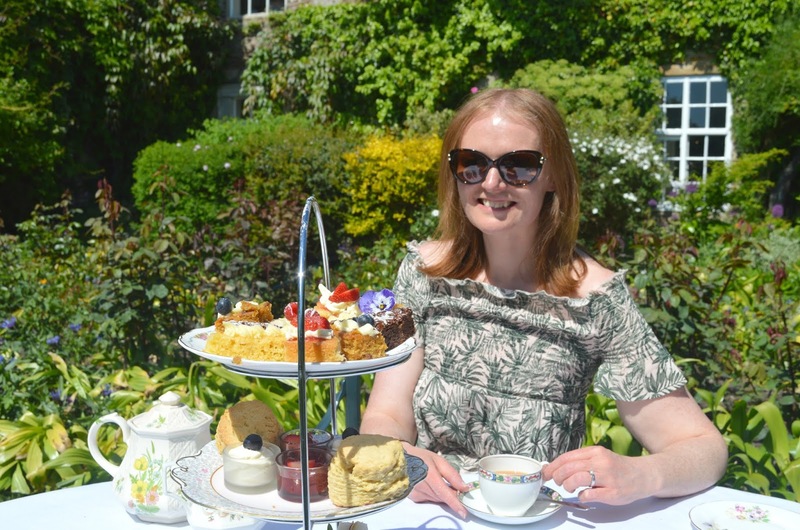 Yet here we were, enjoying the most amazing afternoon tea surrounded by beautiful flowers just a few minutes walk away from the hustle and bustle of the high street. 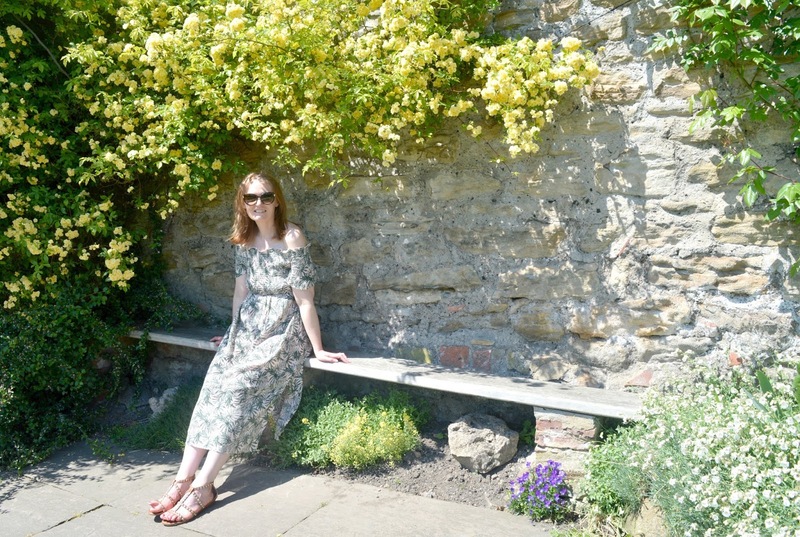 As soon as I spotted that Bank Holiday was set to be a scorcher in the North East I was eager to make sure that I spent my time outdoors enjoying every moment so quickly made a plan with my friend Sarah, who loves sunshine, flowers and cakes just as much as I do. Hidden on the banks of the River Wear, Crook Hall and Gardens can only be described as magical - as soon as we made our way under the colourful rose arch into the gardens we were stunned by the beauty of the place, it was like stepping into a children's book and whilst Secret Garden immediately popped into my mind, Sarah commented that she felt a little like Alice in Wonderland. 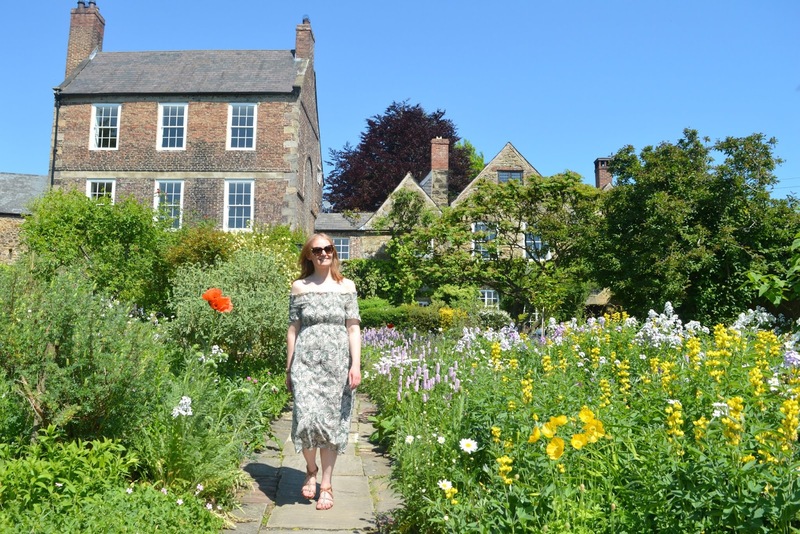 Finding somewhere that recaptures feelings from your childhood is very special, as adults it's not often that we get to enjoy that wonderful carefree feeling and for some reason we both instantly felt the magic of Crook Hall and Gardens. Our first discovery was the maze, a small tangled path of hedges perfect for little explorers or grownups like me and Sarah who are useless at navigating our way round anything. I've lost count of the amount of mazes I've got so completely lost in that I've wasted a good chunk of an afternoon getting out of them so I was very thankful that the centre of the Crook Hall maze wasn't too difficult to find! With the maze conquered we decided to enjoy a good potter round the gardens. 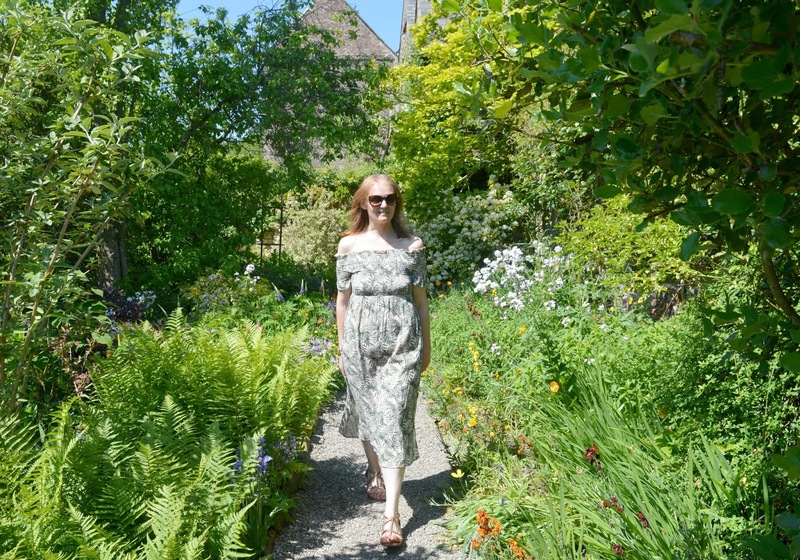 We had been welcomed at the entrance with a really helpful sheet with a suggested tour pointing out loads of the gardens features but we decided to just enjoy ourselves getting lost in the walled gardens. We began our adventure with a look at the Silver and White Garden. 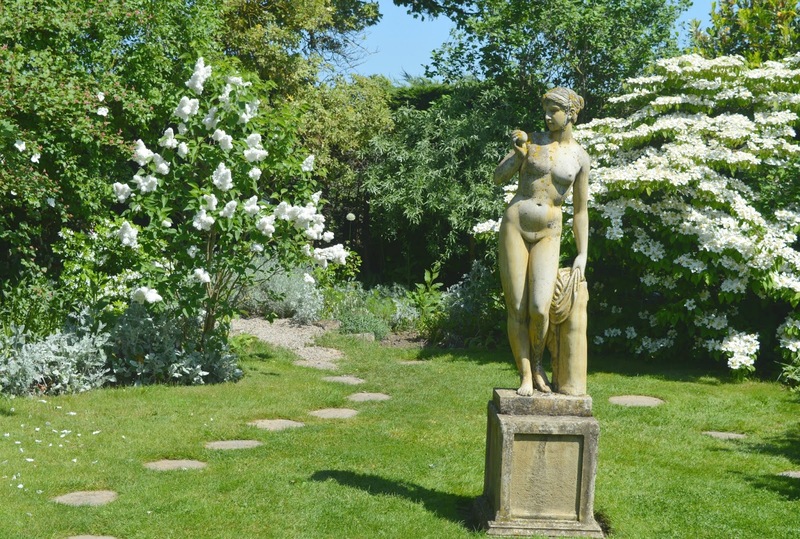 Created by Crook Hall and Gardens previous owners to celebrate their 25th wedding anniversary, the garden is covered in silver and white planting. What an amazing idea, very meaningful and romantic! With just 3 months until our second wedding anniversary I'd best send Simon out into our garden now to get prepared, because now I've seen this gorgeous display no other anniversary present is ever going to do. Strolling through the Wooded Glade to the Moat Pool we noticed so many families picnicking on the grass, with so much space there are some beautiful places around Crook Hall Gardens to spread out your picnic blanket and I have to admit I was having to work very hard not to turn into Yogi Bear and invite myself along to people's picnics. There were some impressive looking spreads out there and next time I visit the Gardens I'm going to have to come with a picnic basket because it really is a stunning spot to enjoy your lunch. Crook Hall and Gardens is so peaceful. Despite being busy during our visit (they had a brilliant Peter Pan event on for children) it was so easy to find a quiet corner of the gardens to relax in. We spent a good hour on a bench out in the sunshine chatting and it was blissful. It's easy to lose hours in the gardens and it's not often in life you can truly switch off like that. A few steps away from the Moat Pool we were over the moon to discover a swing hanging between two trees, it was such a lovely surprise and for a moment all adult worries were forgotten as we raced each other to get on to it first! 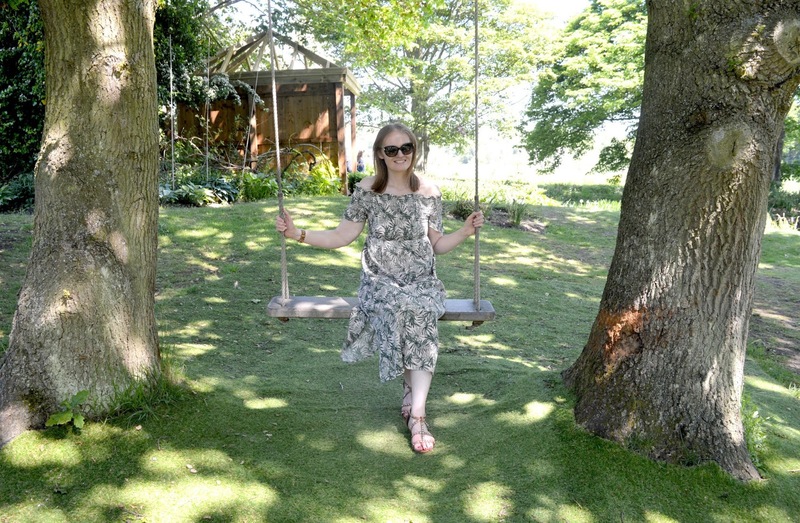 We both had a little go and I have to say sitting on that swing feeling the breeze in my hair was so relaxing - what a way to spend a Sunday afternoon! 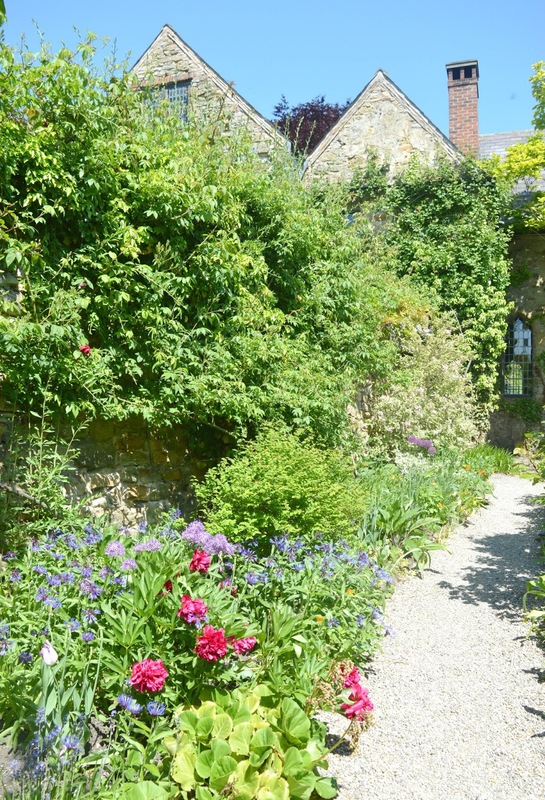 Our next discovery of Crook Hall was The Secret Walled Garden, the most beautiful traditional English garden with endless gravel paths leading to hidden corners and flowers in the most amazing vibrant colours. With the sun beating down on the gardens the pops of vivid colour were stunning - it had us excitedly making endless plans for a long hot Summer, it's hard not to get carried away when you're in such pretty surroundings. Our favourite area of the gardens was the Georgian Walled Garden, a place that Alan Titchmarsh once described as "a tapestry of colourful blooms" and it's easy to see why - the cottage garden is covered in the most beautiful colours and the views back to the Hall are stunning. The house is also open to visitors and is one of the oldest inhabited houses in Durham and is historically unique. The stunning Medieval Hall merges into a Jacobean Manor House which then merges into a Georgian Town house - it is a wonderful place to explore and, although we didn't spend much time inside as the weather was just too good. 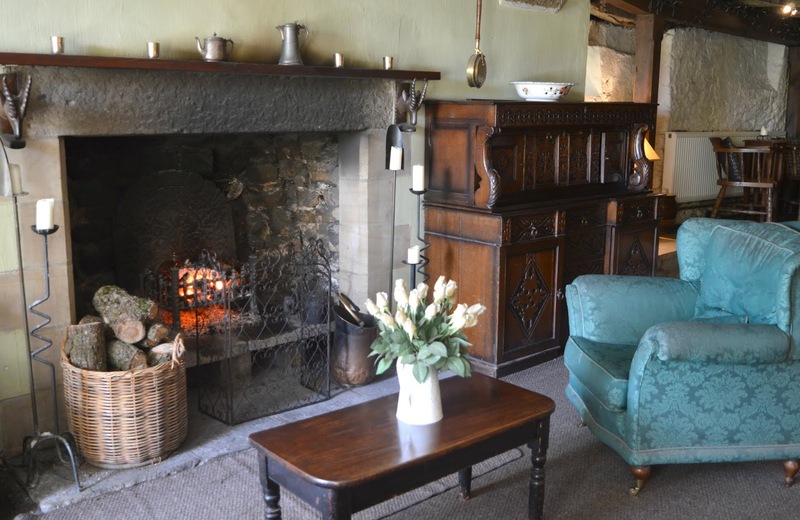 I'm looking forward to returning in the Winter months to spend some time sitting by the beautiful open fires. All of the exploring had left us hungry so we were very happy to discover that it was time to sit down for our afternoon tea. Afternoon tea at Crook Hall and Gardens is served in the beautiful Georgian Drawing Room or, if the weather is nice, one of the gardens. If it is a sunny day I highly recommend taking tea outdoors because the setting is fantastic. 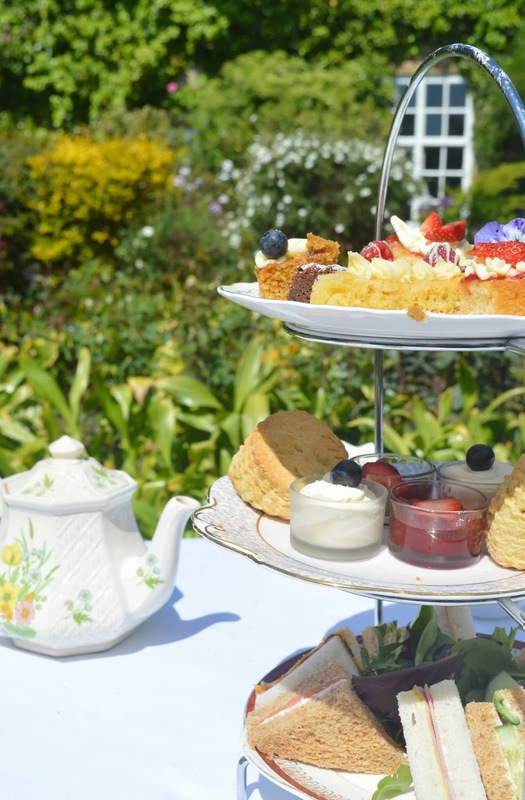 Afternoon tea tables are dotted at different points around the gardens, each table set in its own beautiful area guaranteeing a lovely view in your own little area away from other diners. Our table was just in front of the hall and I have to say I've never sat down for afternoon tea with such a beautiful view before. As we took our seats we had the biggest smiles on our faces, you really don't get better than this! The Ploughmans Tea (£24.50 per person) - swap your wine or fizz for a Durham Brewery Ale and enjoy a Ploughman's Platter as your bottom tier along with the usual homemade scones and cakes. 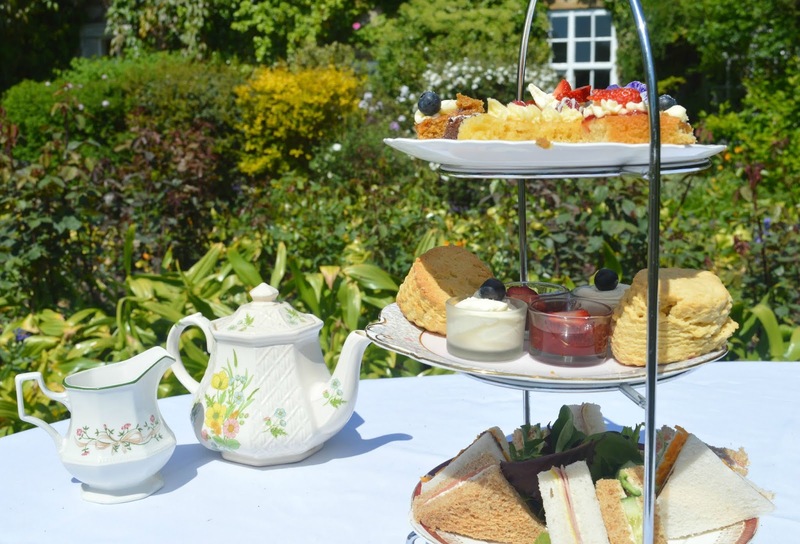 We opted for the Classic Afternoon Tea (£24.50) which began with a glass of Elderflower Fizz, perfect for enjoying in the sunshine. The fizz is non alcoholic and, in all honesty, I'm glad I picked it over the sparkling wine because it was so refreshing. Our little board of canapés arrived just before our cake stand, a slice of homemade quiche and mini sausages went down a treat - the perfect start to our feast. 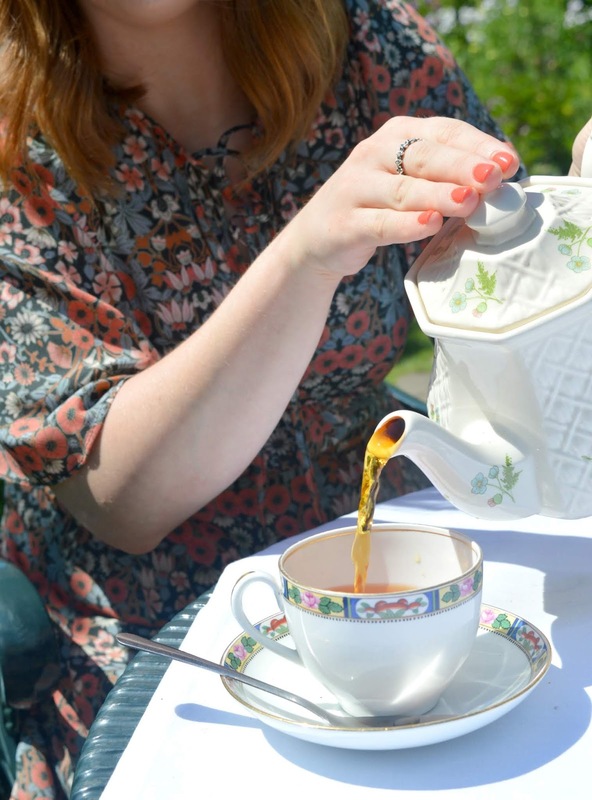 All good afternoon teas come served with a bottomless teapot so we were very happy to discover that the Crook Hall Afternoon Tea includes as much tea (or coffee) as you like and every time we needed a refill someone seemed to just appear to take our pot! I told you this place was magical! When our three tier cake stand appeared we were stunned by how beautiful it looked, and when we were taken through all of the food I was barely listening as I was too mesmerised by how delicious the food looked - we couldn't wait to dive in! Savouries first, of course, we had four sandwiches each made on fresh bread with really generous classic fillings. I particularly loved the cucumber sandwiches, I just felt so English sitting in such a beautiful setting eating cucumber sandwiches! Moving up a tier we were on to scones next and I loved that we got a pot of jam and cream each. Sharing the same pot is never good as you have to control the amount you take, with a pot each we both spread a pretty crazy amount of jam and cream onto our scones and enjoyed trying to get them into our mouths without ending up with a cream moustache - heaven! The scones were homemade and a good chunky size - I am so fussy about my scones (I like to think of myself as a bit of an expert!) and these were perfect! The cake tier was the most colourful selection of cakes I have ever seen (and we all know how many afternoon teas I've had over the years!) - decorated in colourful flowers and fruit it was the perfect selection of cakes to enjoy in such a beautiful garden. Each cake was the perfect bite sized portion and being a pro in how to tackle cakes (always start with the lightest looking cake first and end with the chocolate so you don't get too full up!) we managed to polish off the entire cake stand. There was a cake to suit every taste - a lovely moist carrot cake, a zingy lemon cake, a classic Victoria sponge and, my favourite, an indulgent chocolate brownie. We were stuffed and as we sank back into our chairs and chatted over yet another cup of tea out in the sunshine we both agreed that we were enjoying ourselves so much we couldn't really be bothered to leave and go home which lead to a pretty lengthy discussion about how amazing it would be if this was our actual garden and we could just stay! 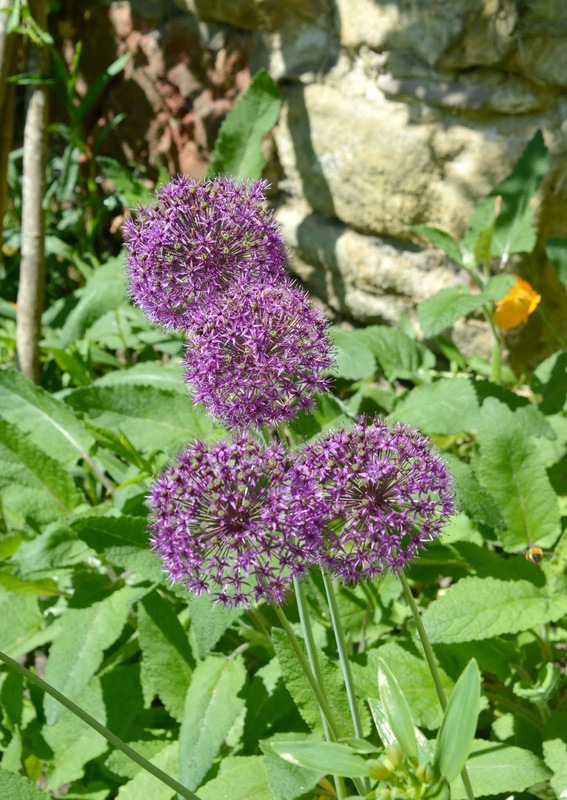 Crook Hall and Gardens is open Sunday to Wednesday and costs £8.00 per adult and £5.00 per child or you can buy an Annual Pass which costs £19.50 for adults or £39.50 per family (a great idea if you plan to revisit to appreciate the gardens in different seasons). 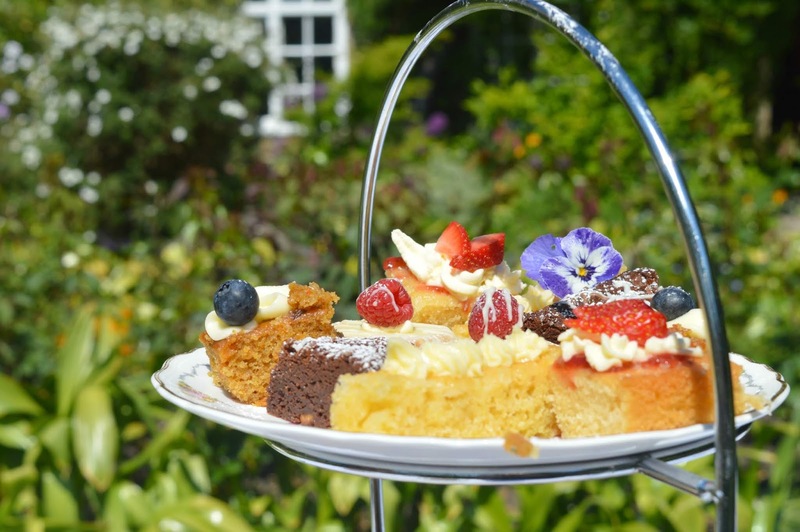 Afternoon Tea needs to be booked in advance and the price of the tea includes entrance into the Hall and Gardens. 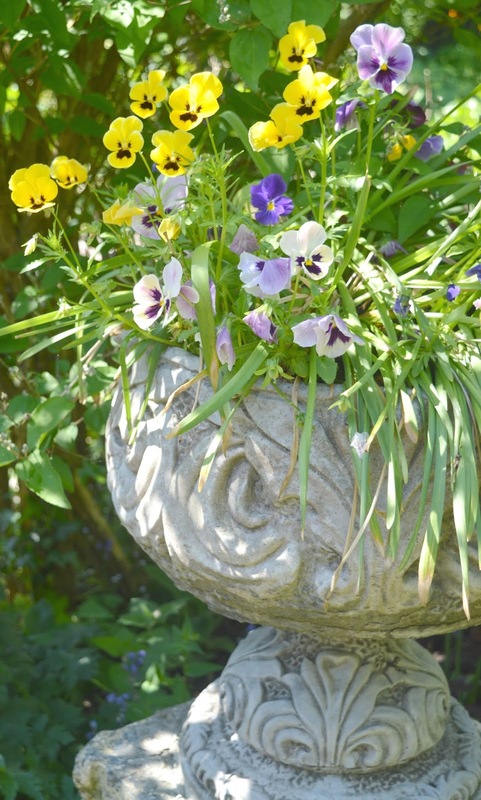 The Garden Gate Cafe at the entrance is open every day with no entrance fee required. 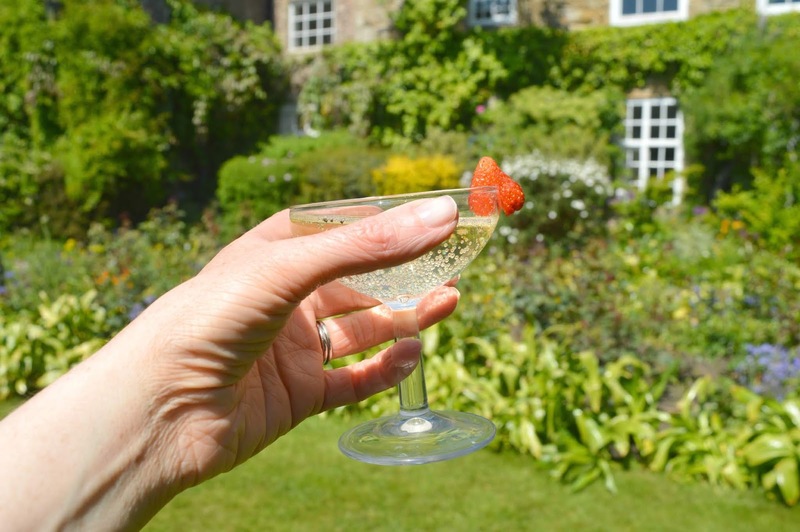 We were treated to a complimentary afternoon tea at Crook Hall and Gardens in exchange for this honest review. It's a 10 minute walk and very easy to find, I say that because I am USELESS with maps and I managed to get myself there first try! Me too and it was so lovely sitting out in the sunny garden! It was heavenly, we were sat out there for a few hours enjoying the sun and it was just perfect! So welcome, thank you for being a lovely afternoon tea buddy and helping me with my photos! It looks so lovely there. 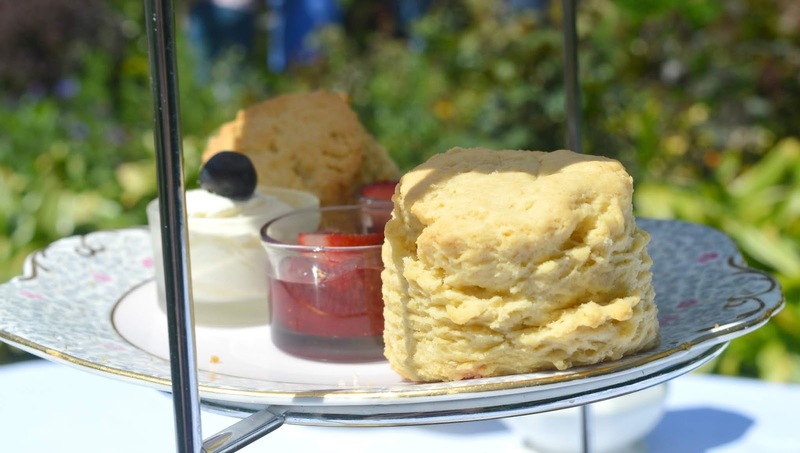 The scones especially look so light and airy! They were my favourite part, especially when we got jam and cream to ourselves! Oohhh I'm a Durham lass and I've not been here! It looks perfect, I'll have to pop in next time I'm through there. It's great for the kids too, plenty of space to run about in!